Also beautiful and useful is Birds of Australia, a photo guide from Iain Campbell, Sam Woods, and Nick Leseberg. I gotta say, the photos in this book are better than any other photo guide I've looked in, for anywhere in the world. 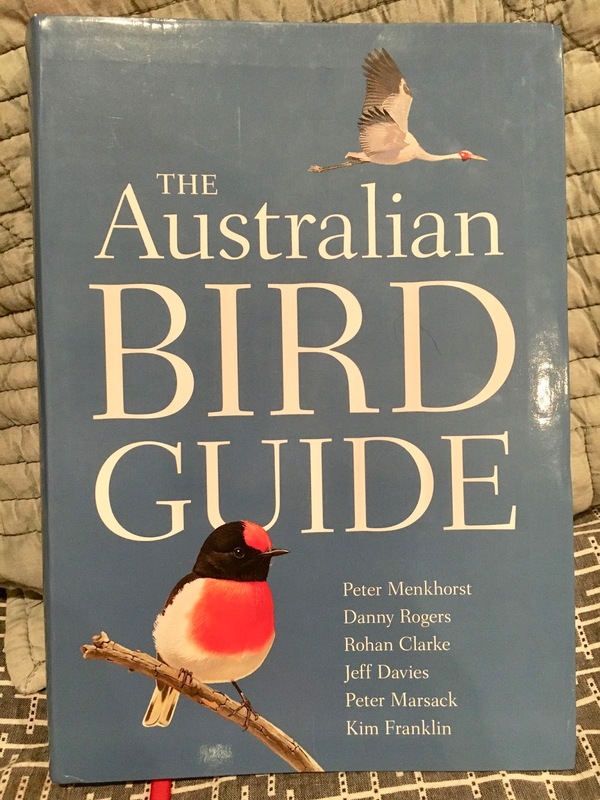 There's generally only one or two images for each species, so it's not the full coverage you'd get from, say, a Crossley Guide (still love those books), but it's been very useful to cross reference with the Menkhorst guide. Illustrated guides are great but the birds are never as clearly colorful in the field. 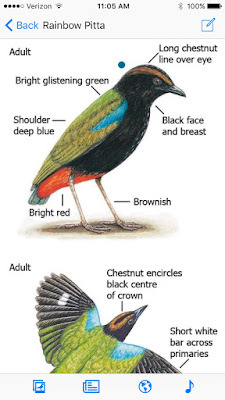 Looking at a photo guide is great for getting a sense of how the bird will actually look in the bush. 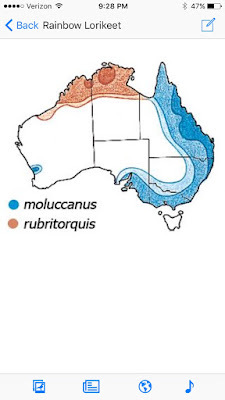 Finally, I bought the Morcombe and Stewart Australian Birds iPhone App. It's fantastic, and most helpful for bird song and calls. I suspect this will end up being the guide I use the most in the field. It's a comprehensive guide, and I like the it's little idiosyncrasies, like the hand-drawn range maps. I'm not only keeping an eye out for birds, though. I also bought another Peter Menkhorst book, the Field Guide to the Mammals of Australia. A man's gotta prepare for his wallabies and his bandicoots, am I right? Finally, the big purchase, some new binoculars. I went back and forth on which company to go with, but the price point and stellar reviews of the Nikon Monarch 7s couldn't be beat. I've been using Monarch 5s for basically my whole birding career, and I like and trust the bins and the warranty that comes with them. They arrived today and I had just a little bit to take them for a spin, but the optical quality was better than I expected. It felt like I was looking through binoculars for the first time! My old pair was having trouble focusing, and so I was always hampered. Familiar with the fit and feel of Monarchs (these are a bit shorter than the 5s), I felt right at home. I can't wait to use them Down Under. EDIT: I realized I published this without giving a shoutout to the website of Australian birder Laurie Ross, who has published beautiful little bird-finding guides to certain parts of the country, including (thankfully) Cairns, Darwin, and Kakadu NP. I've been using these to pick spots to hit while I'm down there. Many thanks, Laurie. Good luck and have fun. Their are some quite pretty birds there. That sounds like it should be a wonderful trip. If you're going to be in Daintree, I recommend going out on the river with Ian “Sauce” Worcester if you can. I went out with him twice when we were there in 2009 and got great looks at some really interesting birds.